The Texas Boys Choir will perform on Thursday, March 4, 7:30 p.m., at Coastal Bend College in the Gertrude R. Jones Fine Arts Auditorium. The concert is free. The choir will perform at Coastal Bend College for Beeville schoolchildren on March 5 at10 a.m. The Texas Boys Choir, led by S. Bryan Priddy, was founded in 1946 by George Bragg to provide any boy, regardless of socio-economic or ethnic background a structured environment for the development of a world-class performing choir of boys. Essential to this development is the artistic training in an accredited academic institution; experienced teachers instill the qualities of self-discipline, self-confidence, decorum, patriotism, and leadership. Based in Fort Worth, the Texas Boys Choir performs locally, nationally and internationally. For the past 60 years, the choir has been a publicly-supported professional non-profit boys choir and an educational institution dedicated to fostering the talents of gifted young men. Texas Boys Choir continues to be an important part of the North Texas Arts Community. The choir continues in the tradition of European church choirs, with boys beginning their vocal training at a young age. The choir further develops its vocal training through the use of the changing voices. The choir draws heavily on the sacred tradition of performing many works from the early Renaissance and Baroque periods. Also included in most performances are American favorites and music of other cultures and countries. In addition to singing a wide variety of music, the Texas Boys Choir is unique in another very important way. Only a few boy choirs in the United States are trained while attending their own school. This, again, follows the early European tradition. Any student, male and female, regardless of race, religion, disability or income, who wishes to study the fine arts along with a challenging academic curriculum, can attend the Fort Worth Academy of Fine Arts. The school offers classes in music, visual arts, theater, dance, instrumental music and together completes the whole experience of performing and visual arts for each student. This extensive training, in both music and academics, enables the choir to maintain a very high standard of excellence which has been established for many years. This high level of performance has earned the Texas Boys Choir two Grammy Awards from the National Academy of Recording Arts and Sciences, Three George Washington Honor Medal Awards from the Freedom Foundation, a Bronze Award from the International Film and Television Festival of New York and a gold medal in Mixed Boys’ Choirs at the 2004 Choir Olympics in Bremen, Germany. 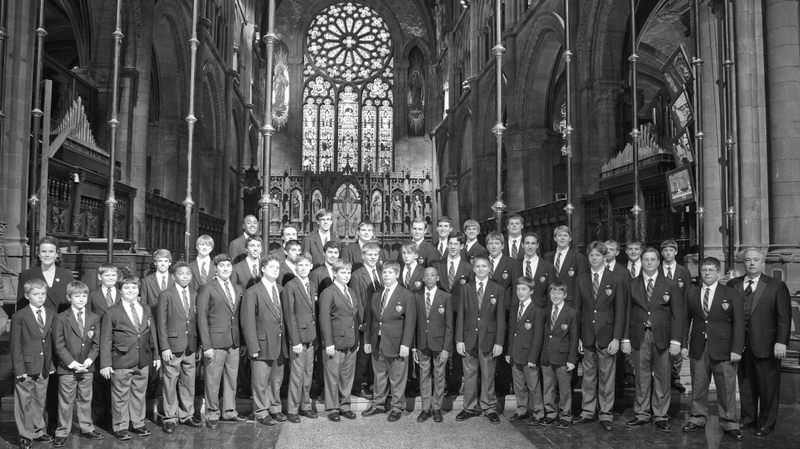 In its history, the Texas Boys Choir has traveled to Australia, Japan, England, Mexico, Latvia and Germany. They have sung for the Pope, the President, for Kings and Heads of State. It has appeared numerous times on National Television and on radio broadcasts. With over 35 professional recordings, the Texas Boys Choir continues to be one of the top boys choirs in the world. Its unique sound and beauty of tone causes the choir to be in great demand for a variety of performances including concert performances, convention openings, operas, weddings, and more. For any boy who possesses the basic ability and the love of music, membership in the Texas Boys Choir can open the doors to an exciting world, one which can make a tremendous difference in their lives and in the lives of those who hear them perform. Striving for excellence keeps them continuously working to maintain their high standard. This standard was set when composer Igor Stravinsky called the Texas Boys Choir “the best boys choir in the world”. The Texas Boys Choir is in need of a host families. If anyone is interested in housing a least two boys on Thursday evening (March 4) and giving them breakfast on Friday morning, please contact Dr. Jim Lee at (361) 354-2303 or (361) 358-6337.